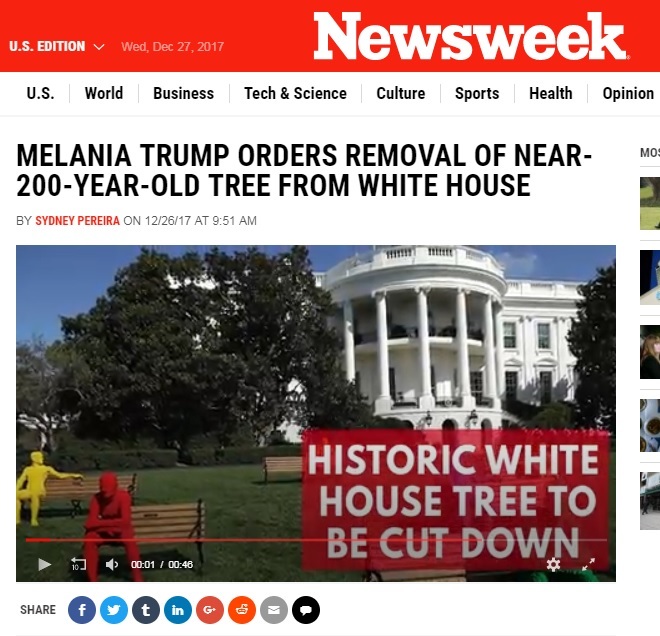 The clickbait experts at Newsweek and other fake news outlets want their readers to think Melania Trump ordered the removal of a nearly 200-year-old tree from the White House just for kicks. The overall architecture and structure of the tree is greatly compromised and the tree is completely dependent on the artificial support. Without the extensive cabling system, the tree would have fallen years ago. Presently, and very concerning, the cabling system is failing on the east trunk, as a cable has pulled through the very thin layer of wood that remains. It is difficult to predict when and how many more will fail. Again, there’s no pointing out it’s being cut down because it’s long dead and dangerous. 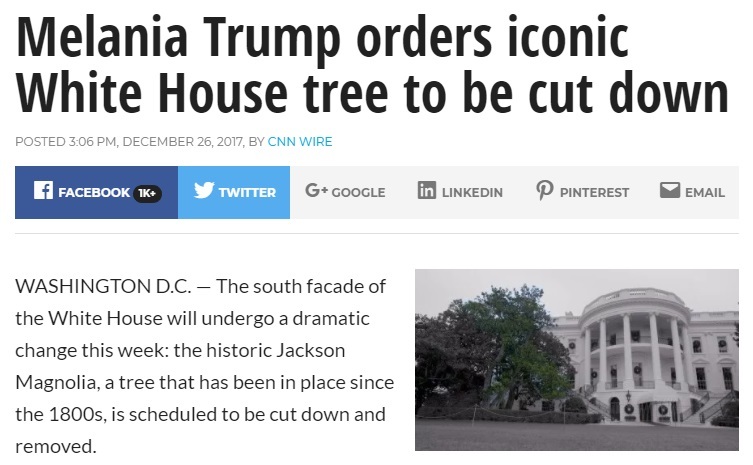 However disappointing the removal of the Jackson Magnolia, the silver lining of its demise is that White House groundskeepers were prepared. For several months, at an undisclosed greenhouse-like location nearby, healthy offshoots of the tree have been growing, tended to with care and now somewhere around eight to 10 feet tall. 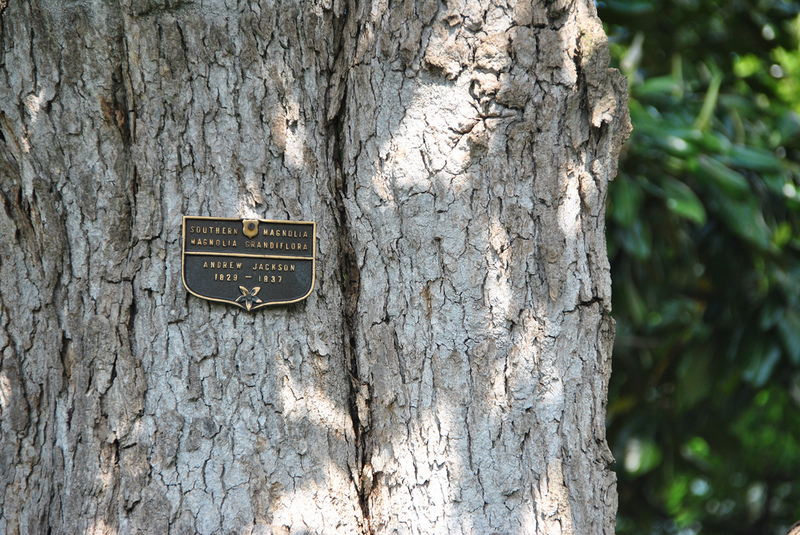 CNN has learned the plan is that another Jackson Magnolia, born directly from the original, will soon be planted in its place, for history to live on. 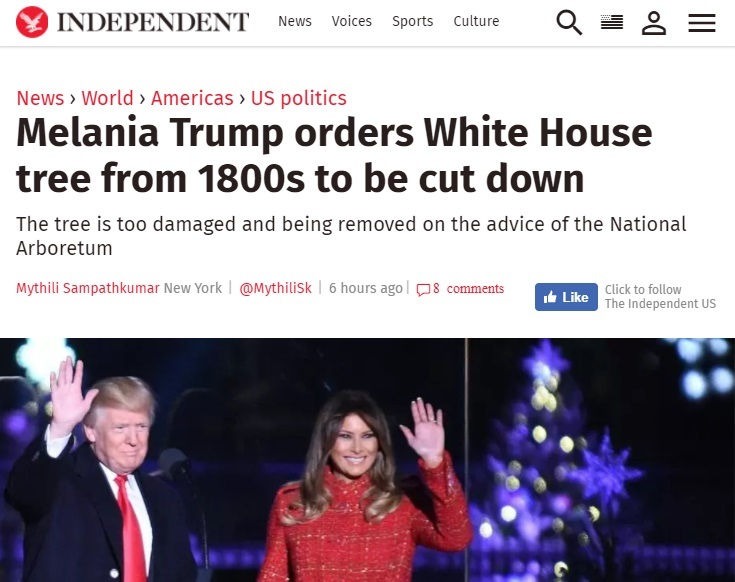 As the recent fake news koi feeding scandal similarly showed, these propagandists will run with absolutely anything to attack Trump.